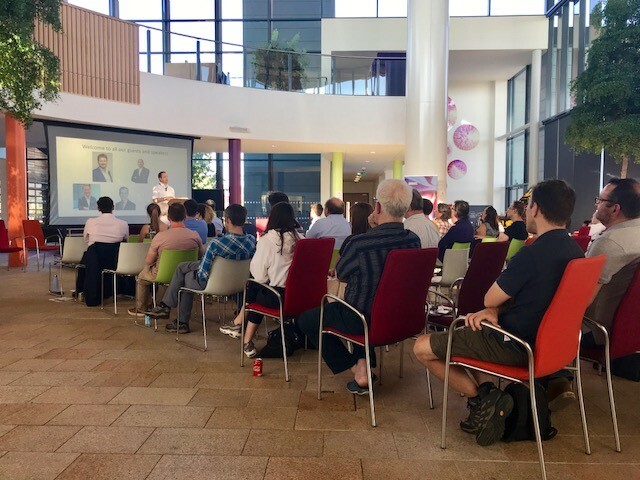 On a warm Wednesday evening in the midst of an unusual summer heatwave in Bristol, people began arriving at the Bristol & Bath Science Park. These people were curious to learn more about blockchain technology and cryptocurrencies. 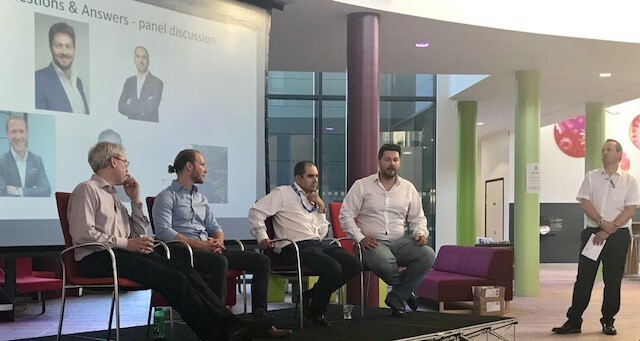 The Bristol & Bath Blockchain and Cryptocurrency seminar was sponsored by us at Boatman Admin Services together with Paul McCafferty and Duncan Pauly from Edge Intelligence. As with all best laid plans there were a couple of last minute changes to the speakers. Poor Kevin Basham of CryptoPulse had been in hospital for tests the day before with a suspected case of food poisoning. 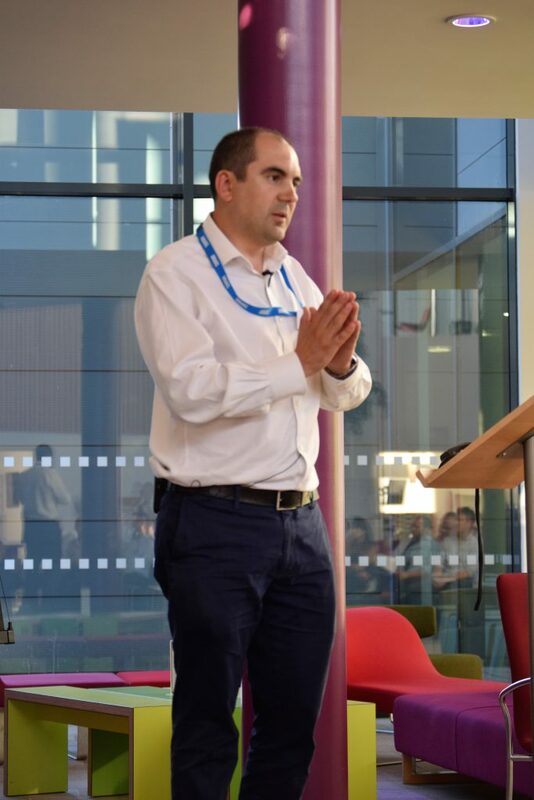 Gavin Brown, senior lecturer at Manchester Metropolitan University had a family emergency and needed to stay home with his little boy who had a suspected broken arm! 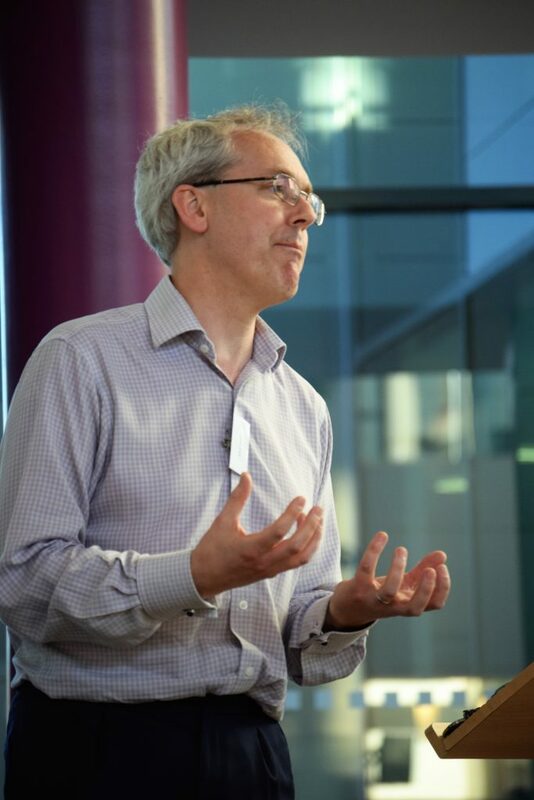 Our own John Boatman stepped into the role that was Kevin’s and carried out the welcome, introductions and moderated the Q&A session (which turned into quite the debate!). 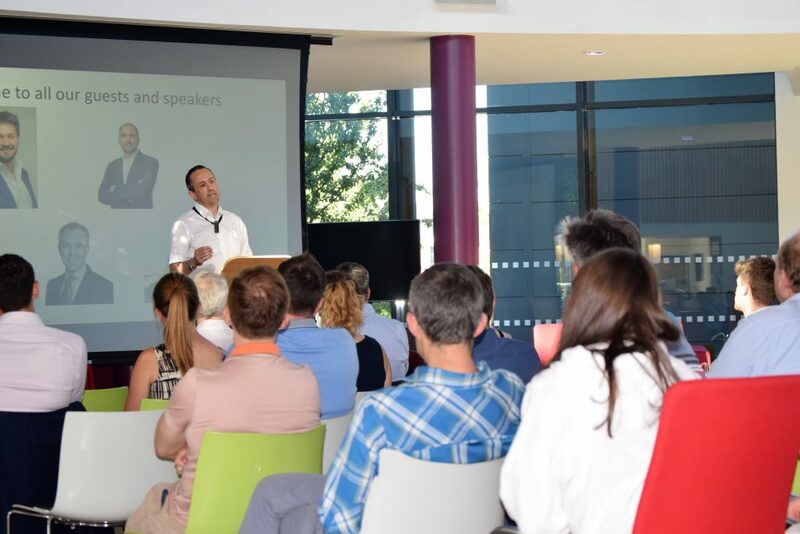 Charles Radclyffe, a serial tech entrepreneur and self confessed geek, managed to incorporate some of Gavin’s topic into his presentation so all was not lost for our attendees. We were delighted that Eddie Mitchell from bitcoinnews.com came along to cover the event. We’ll share the article with you when we have it! After John had opened proceedings, he covered a little bit on his background including why he wanted to put on the event. He explained that he wanted to educate people and businesses about a generally misunderstood crypocurrency market and demonstate how blockchain technology is changing and benefiting many industries. Charles spent some time talking about the history of Bitcoin. He then went on to present blockchain in the context of the double-spend problem and where cryptocurrency is and isn’t a good idea. Vlad Nanu showed us what Amdaris were working on – a project in the food supply chain using blockchain technology that could be used by many industries. 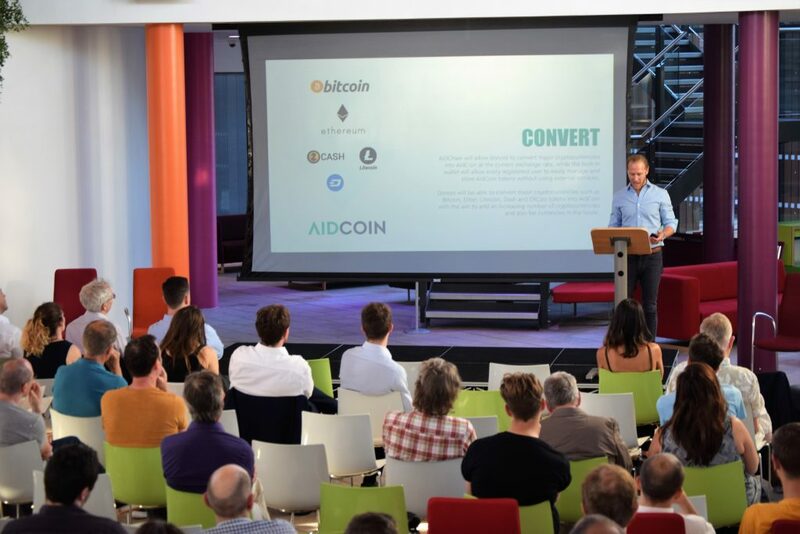 Robert Robinson UK Managing Director of AidCoin and CharityStars spoke about how AidCoin are ringing in the new era of charitable donations and how they are determined to make the non-profit sector more transparent. With 43% of people not trusting charities this seemed very relevant in today’s world. 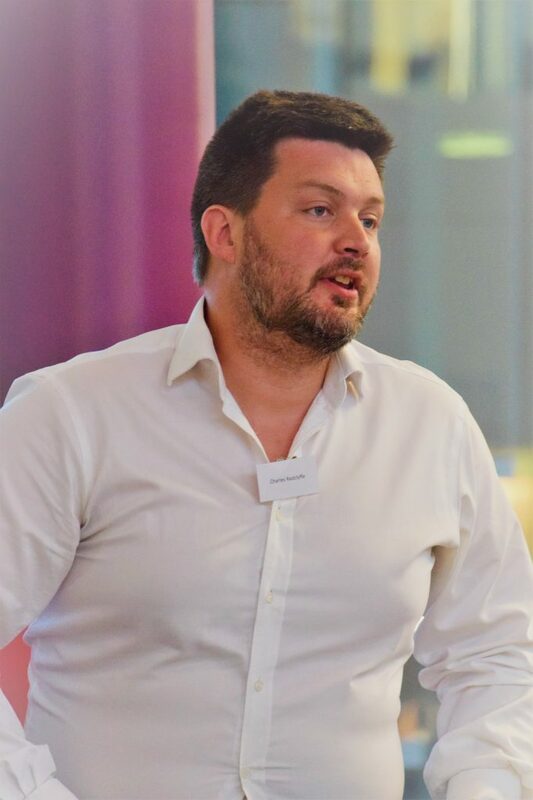 Last but by no means least, Mark Taylor, partner at international legal firm, Osborne Clarke, covered some of the practical legal issues relating to blockchain technology. The evening was rounded off by a Q&A session where participants were able to ask the experts any questions. Charles, by his own admission played devils advocate which created an excellent debate between the speakers and a number of attendees. We didn’t have to worry that we would be short of questions – once the first brave person had spoken, hands were flying up left, right and centre! We had some great feedback from the evening and we’ll be looking to put on further seminars and workshops. Watch this space!